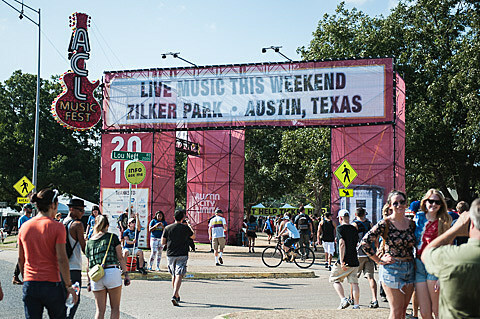 It was just announced that the Austin City Limits Festival returns to Austin’s Zilker Park for two weekends, October 3-5 & October 10-12. The lineup includes Eminem, Pearl Jam, Outkast, Beck, The Replacements, Spoon, Belle & Sebastian, Interpol, Broken Bells, St. Vincent, tUnE-yArDs, Mac DeMarco, Sam Smith, Polica, Jenny Lewis and many more. Tickets go on sale today (4/22) at 10 AM. Full lineup at BrooklynVegan.